A young lady is currently battling for her life at the hospital after her leg was crushed by a truck yesterday as she was on her way to work. According to multiple online reports, the lady took a bike to get to work in the morning, but she never made it there. 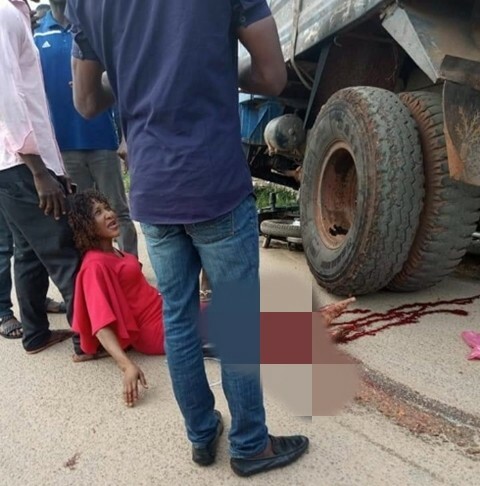 On the way, a truck rammed into the motorcycle, crushing the lady's leg in Enugu state. A Facebook user and eyewitness identified as Patrick Austin, who shared the story on social media, did not reveal the condition of the bike rider. He added that the wounded lady was rushed to a hospital.